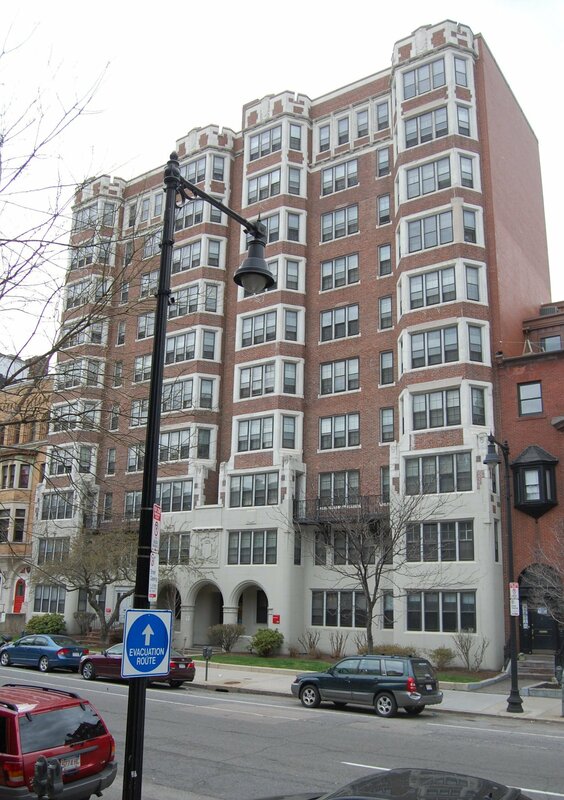 512 Beacon is located on the north side of Beacon, between Massachusetts Avenue and Charlesgate East, with 508 Beacon to the east and 518 Beacon to the west. 512 Beacon was designed by Charles R. Greco, architect, and built by the Boyle-Robertson Construction Company in 1925-1926 as the Maryland Apartments, a ten story, thirty-unit apartment building. The building was built for Maryland Apartments, Inc., organized by George von Lengerke Meyer, Jr. The firm acquired the property on December 13, 1924, combining what were originally four 25-foot wide lots: a vacant lot at 510 Beacon, purchased from Charles C. Wheelwright, who lived at 508 Beacon; and the existing house at 512 Beacon and a double vacant lot at 514-516 Beacon, purchased from Sarah Frances (Gray) Silsbee, the widow of George Saltonstall Silsbee, who lived at 512 Beacon. All four lots had been purchased from the Boston and Roxbury Mill Corporation on June 2, 1887: 510 Beacon by Solomon Lincoln, 512 Beacon by Louis Curtis, and 514-516 Beacon by Emma Esther (Howe) Proctor, the wife of Thomas Emerson Proctor. Each had subsequently changed hands. Click here for an index to the deeds for 512 Beacon. 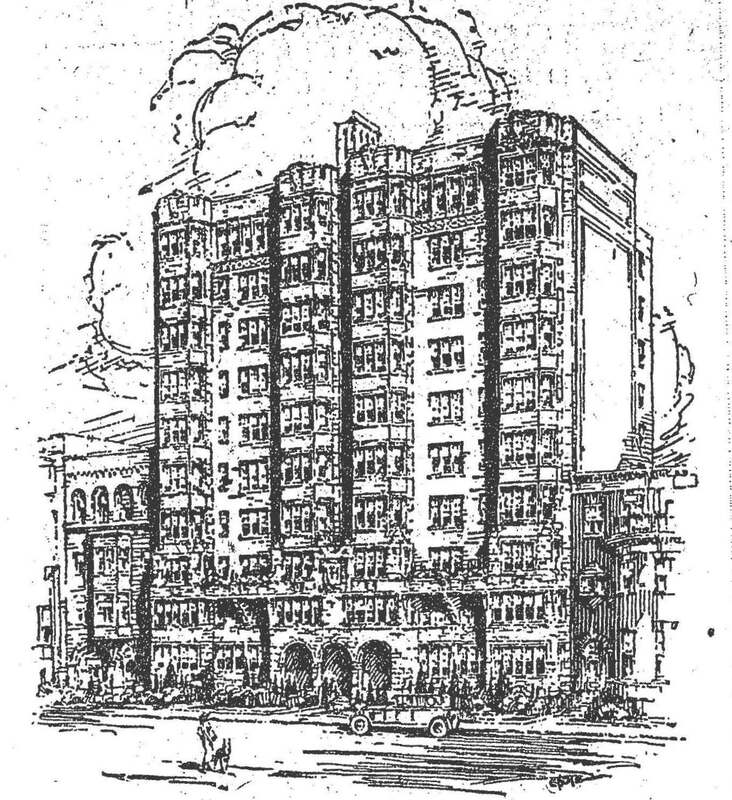 Drawing of the Maryland Apartments from a January 6, 1925, mortgage bond offering advertisement by S. W. Straus & Co.
510 Beacon and 514-516 Beacon remained the only vacant lots on the block and were subject to several building restrictions. The original land deeds from the Boston and Roxbury Mill Corporation required that the front façades of buildings on Beacon be set back twenty feet (with windows, stairs, and associated structures permitted in the restricted area, subject to dimensional limitations). The setback requirement in the deeds would expire on January 1, 1950, and on November 27, 1924, the Boston Globe reported that George von L. Meyer of Maryland Apartments, Inc., “in safeguarding his investment, “ appeared before the Boston Board of Street Commissioners to request that the setback requirement be made permanent . The Board approved the restriction on December 2, 1924. The rear façade of any new building also was subject to an agreement entered into by the owners of 506-532 Beacon on March 29, 1912, which limited the depth of any new building built before May 1, 1932, to 90 feet from the north line of Beacon (with bays and other projections limited to extending another 5 feet), and limited the height of stables and other ancillary buildings further north to no more than 12 feet in height. On December 15, 1924, Maryland Apartments, Inc., entered into a mortgage for $550,000 to finance the construction of the building, with the mortgage financed through mortgage bonds marketed by the firm of S. W. Straus & Co. of New York City and secured by a trust indenture agreement with Wayland M. Minot as trustee. On August 19, 1925, Maryland Apartments, Inc., entered into a second mortgage for $175,000 with the builder, Boyle-Robertson Construction, and on September 18, 1925, it entered into a third mortgage for $10,000 with the architect, Charles R. Greco. The Maryland Apartments were completed in 1926 and the first residents had taken up occupancy by the 1926-1927 winter season. Among the first residents were Josiah Wheelwright and his wife, Lois Curtis (Nelson) Wheelwright, who had married in October of 1926. He was owner and manager of the Atlantic Electric Company, manufacturers of electric motors. Prior to their marriage, he had lived at 508 Beacon with his parents, Charles Chapin Wheelwright and Laura Snow (Tower) Wheelwright. They continued to live at 512 Beacon during the 1928-1929 season, but by 1930, they had moved to Cohasset. Also among the first residents were Walter Carlton Rich, an investment broker, and his wife, Jessie (Phillips) Rich. They previously had lived in Brookline. By 1928, they had moved to the newly-completed apartment building at 192 Commonwealth, in which he was a principal investor. By the spring of 1926, Maryland Apartments, Inc., had encountered financial difficulties. On April 8, 1926, Charles Greco foreclosed on his mortgage and sold his interest to William F. Krayler. 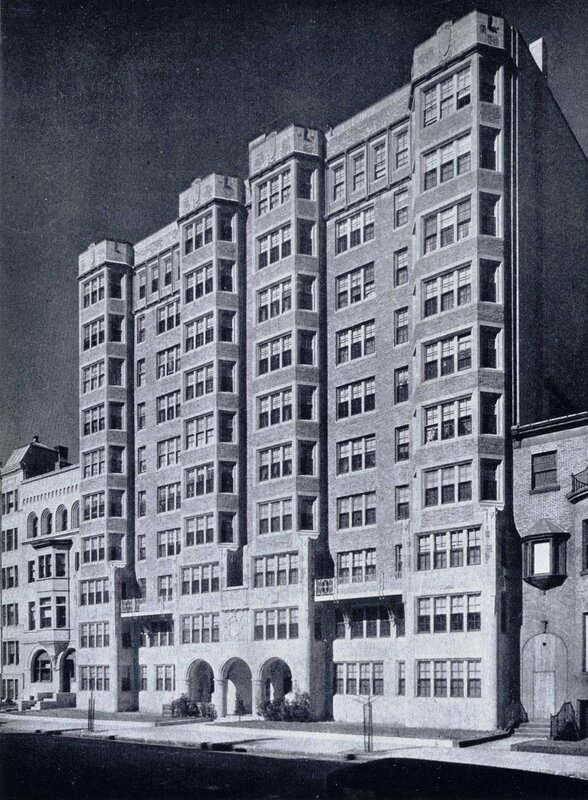 Maryland Apartments, Inc., transferred its residual interest to real estate dealer William N. Ambler, and on August 4, 1926, deeds were recorded transferring both William Krayler’s and William Ambler’s interest to Henry M. Williams and Elliott Henderson as trustees of the newly-formed 512 Beacon Street Trust. On August 4, 1927, Clarence L. Tower, who held the mortgage that Maryland Apartments, Inc., had given to Boyle-Robertson Construction, foreclosed and took possession of the property. The first mortgage on the property continued to be held by the owners of the bonds issued when the building was built, and on May 19, 1932, Barton Corneau, successor trustee under the mortgage bond indenture, foreclosed and sold the property to 512 Beacon Street, Inc. (William M. Ferris, Jr., president). On April 25, 1933, 512 Beacon Street, Inc., refinanced its debt, retiring the original mortgage bonds still outstanding and issuing new bonds with the Continental Bank & Trust Company of New York as trustee. By the fall of 1932, 512 Beacon was managed by the Nordblom Management Company, a real estate investment and management firm. On December 29, 1942, the Second National Bank of Boston, successor trustee of the mortgage bond indenture, foreclosed and sold 512 Beacon to Maryland Apartmants, Inc., a new corporation formed by Robert C. Nordblom of the Nordblum Management Company. On June 30, 1954, Maryland Apartments, Inc., transferred the property to Robert C. Nordblum, Rodger P. Nordblum, Albert V. Danielsen, and Jessie B. Danielsen, as trustees of the Maryland Buildings Trust. On July 9, 1954, Maryland Buildings Trust acquired 508 Beacon, and on the same day it sold the property to real estate dealer Thomas J. Diab. In the deed, the trust included language, for the benefit of their property, specifying that 508 Beacon could not be used for a lodging house, rooming house, or fraternity house, nor for the sale of food, groceries, or liquor, nor for the conduct of a laundry business. In December of 1964, the Trust applied for (and subsequently received) permission to convert the building from apartments into a dormitory. In March of 1965, the property was leased as a dormitory by the Chandler School for Women, located at 448 Beacon. It continued to operate a dormitory there until the mid-1970s. On October 26, 1976, 512 Beacon was acquired by the trustees of Boston University for use as a dormitory. 512 Beacon remained a Boston University dormitory in 2018. The original townhouse at 512 Beacon was designed by Rotch and Tilden, architects, and built in 1890-1891 by Charles H. Dodge, for cotton mill treasurer George Saltonstall Silsbee and his wife, Sarah Frances (Gray) Silsbee. They previously had lived at 415 Beacon. 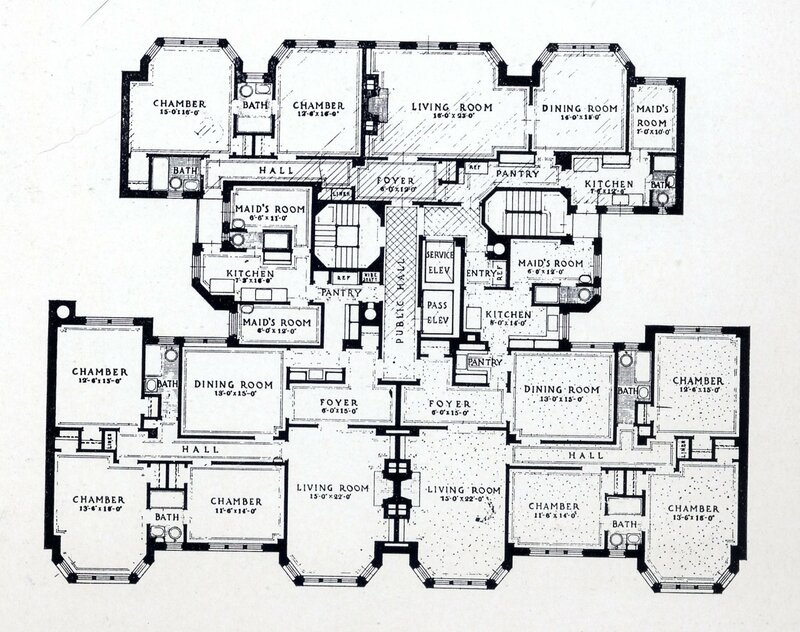 George Silsbee is shown as the owner on the original permit application, dated June 9, 1890, and on the final building inspection report, dated October 1, 1891 (a floor plan of the second floor is bound with the report, located in the Boston Public Library’s Arts Department). Sarah Silsbee purchased the land for 512 Beacon on February 1, 1890, from Louis Curtis. He had acquired the property on June 2, 1887, from the Boston and Roxbury Mill Corporation. 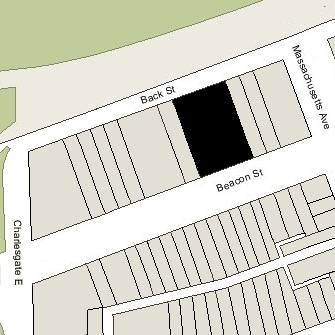 On February 24, 1890, Sarah Silsbee entered into an agreement with the other owners of land on the block limiting (until January 1, 1905) the depth of any new buildings to 90 feet from the north line of Beacon (with bays and other projections limited to extending another 5 feet), and limiting the height of stables and other ancillary buildings further north to no more than 12 feet in height. The agreement probably was prompted by construction of The Austerfield at 7-9 Massachusetts Avenue (502 Beacon). It was the only building on the block and its north façade extended to Back Street. By the 1891-1892 winter season, George and Sarah (Gray) Silsbee had made 512 Beacon their home. They previously had lived at 415 Beacon. George Silsbee was treasurer of two cotton mills, the York Manufacturing Company in Saco, Maine, and Everett Mills in Lawrence. In December of 1894, he resigned from these positions to become treasurer of the Chicopee Manufacturing Company in Chicopee and the Pacific Mills in Lawrence. He died in October of 1907. Sarah Silsbee continued to live at 512 Beacon. On March 29, 1912, she joined with the other owners of property at 506-532 Beacon in an agreement reinstating the restrictions contained in the 1890 agreement (which had expired in 1905) and extending them until May 1, 1932. Although many of the lots had been developed by 1912, there remained vacant lots at 510 Beacon, 514-516 Beacon, 520-522-524 Beacon, and 534 Beacon. The agreement probably was prompted by the impending construction of the Van Cortland apartment building at 520 Beacon. On May 2, 1912, Sarah Silsbee acquired the vacant lot at 514-516 Beacon from Frederick E. Johnston. Sarah Silsbee continued to live at 512 Beacon during the 1921-1922 winter season, but moved soon thereafter. By the 1924-1925 season, she was living at 88 Beacon. On December 13, 1924, 512 Beacon and the vacant lot at 514-516 Beacon were acquired from Sarah Silsbee by Burton C. Hammond, who conveyed them on the same day to Maryland Apartments, Inc. On the same day, Maryland Apartments, Inc., also acquired the vacant lot at 510 Beacon. Maryland Apartments, Inc., razed 512 Beacon and built the Maryland Apartments at 510-516 Beacon.